Do you own the asset? Research demonstrates that women’s asset ownership provides benefits not only for them but also for their households, communities, and the economy as a whole. Several studies link women’s asset ownership to higher spending on food for the family, housing, durable goods, and children’s schooling. Others² also found that asset ownership by mothers can improve children’s health outcomes, including survival rates and long- and short-term nutritional status. Despite the growing recognition of the importance of understanding the gender dimensions of asset ownership, many studies continue to collect data on household rather than individual asset ownership. The ICRISAT study on Village Dynamics in South Asia (VDSA) collected asset ownership data at the household level from 1975-84 and 2001-2009. To facilitate a gender analysis of assets, from 2009-2013, the VDSA also collected asset data at the individual level by asking, “Who owns the asset?” This question was addressed to the head of the household in the presence of his or her spouse. In a number of cases, the household head reported joint ownership of assets. However, through individual and focus group discussions, we learned that respondents understood “joint ownership” to mean that the asset was owned by the entire household. In general, assets owned by male heads of household were reported as individually owned while assets owned by women, such as assets she purchased with self-help group loans, assets she brought to marriage, or a house that she received under a housing scheme implemented by the government of India, were often reported as jointly owned by the household. Thus, in our sample villages, asking “Who owns the asset?” did not provide us with very useful information. Research demonstrates that women’s asset ownership provides benefits not only for them but also for their households, communities, and the economy as a whole. 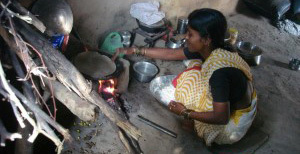 Having learned from this experience, we recently developed a separate module on asset ownership in a special purpose survey on women’s empowerment, nutrition, and institutions. 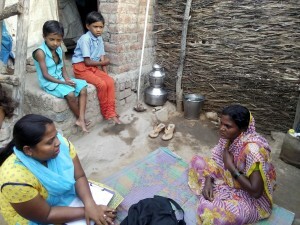 These surveys were implemented in 8 VDSA villages. The survey was administered twice – in the first and last quarters of the survey year. Land, both agricultural and non-agricultural, livestock, farming implements, jewelry, financial assets, business assets, and household durable goods were some of the assets included in the survey instrument. The instrument was administered to the woman in each sample household who was identified as the woman responsible for making decisions in the household. After confirming that the household owns a particular asset, instead of asking, “Who owns the asset?” we asked women directly, “Do you own the asset?” By modifying the question we were able to see if the respondent woman indeed considered herself an owner. If the answer was positive, we asked if she owned it alone, jointly with her husband, jointly with other members of the household, or with any other people. We also collected information on the identity of all other owners of the asset. If the respondent said that she did not own the asset, we then asked who owned it. By modifying the question we were able to see if the respondent women indeed considered herself an owner. To verify the responses for land, housing, and businesses we asked if there was an ownership document or a deed and if we could see those. Our researchers have developed excellent rapport with the village communities over the years of the study. 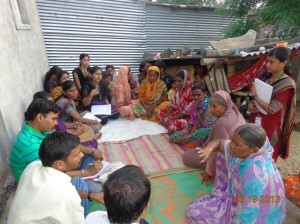 As a result, the villagers trust the field investigators and were therefore willing to show them ownership documents. Once the respondent identified the owner(s) of each asset, we asked a few additional questions to understand the decision making process about utilization, sale, management, and bequeathing of the asset. The VDSA longitudinal database also collects asset value data, enabling us to calculate the gender asset gap. The longitudinal data helps us understand the pathways of asset accumulation in general while the additional questions enhance our understanding of asset accumulation by women and men. Preliminary analysis reveals that women rarely have sole ownership of agricultural land and even if they do, they frequently do not know what rights they have over their land. It has also been observed that women’s rights over land are often not recognized in the revenue records. If a woman inherits a share of land, for example, the records may not clearly indicate that she has the right to sell or lease out that piece of land alone, implying that she would need the consent of all family members to make these transactions. Preliminary analysis reveals that women rarely have sole ownership of agricultural land and even if they do, they frequently do not know what rights they have over their land. 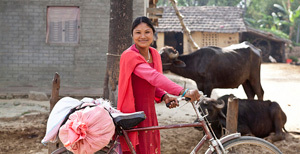 Our analysis can help policymakers devise policies that will strengthen women’s asset ownership as well as their knowledge about their rights. This, in turn, may lead to improvements in the health, nutrition, and wellbeing of women and their children. Further research will help us develop a more nuanced understanding of the relationship between women’s control over assets and health and nutrition outcomes. Asking women the right questions about their ownership is an important and necessary first step.